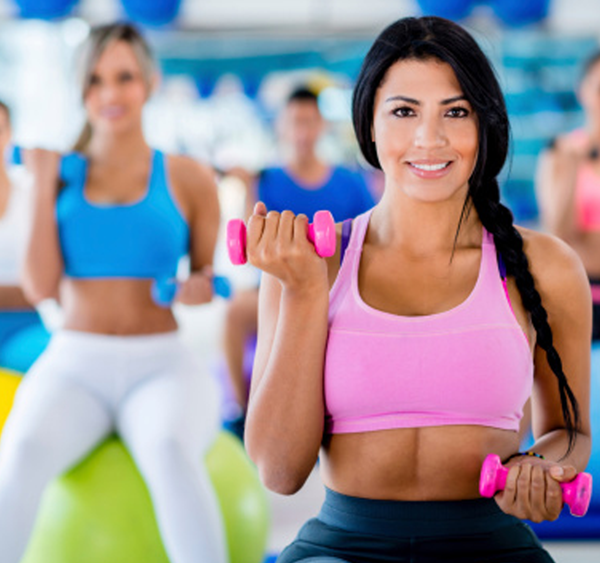 As a Health Club, you offer many wonderful benefits to your members and deserve to be rewarded for doing so. Exercise is great for muscles, bones, energy, health, and more. However members and people in general, are bad at promoting their results to others, unless someone notices their small changes and inquires. Because of this phenomenon most of your great work goes unnoticed. 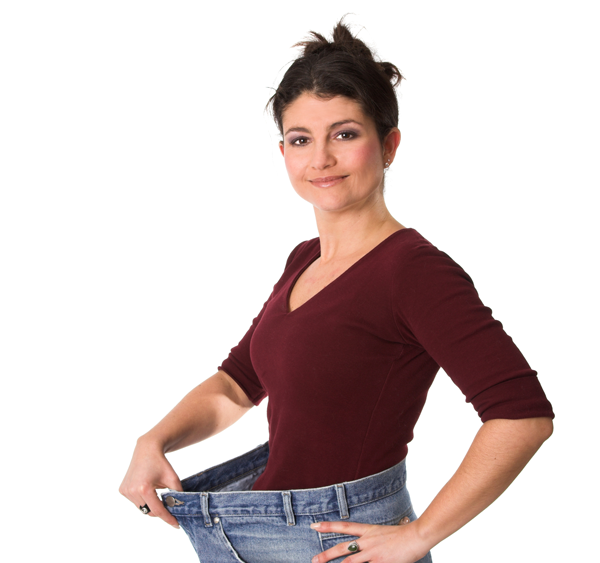 On the other hand, RAPID weight loss is the one result that will get 7 out of 10 people in your member's circle inquiring as to how they did it. This, combined with Core's patented support and marketing system, will brand your club as the place to go for weight loss. Potential members today are more knowledgeable than ever before and know the best way to lose weight includes both diet and exercise. It’s been proven that what you eat is 70% of the weight loss equation and with Core-22, your sales team will be able to offer potential members both at a reasonable price. 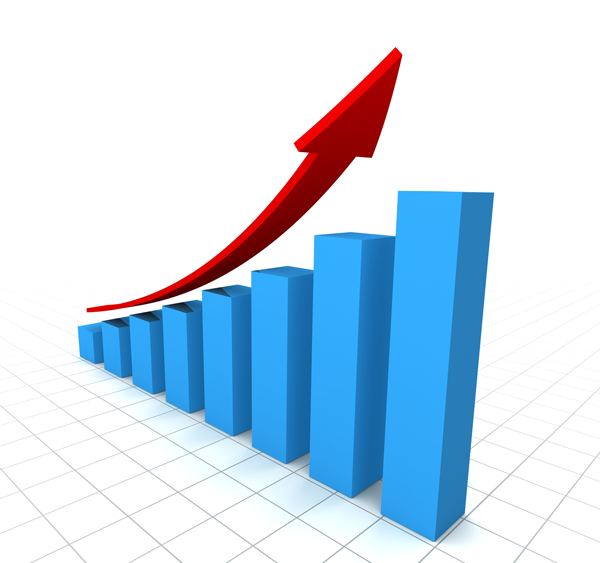 We have seen a dramatic increase in people joining at point of sale when they realize you have the total package. 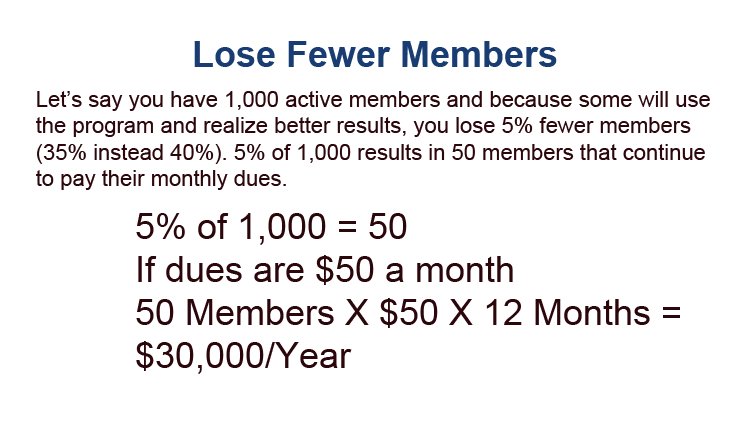 The average club will lose close to 40% of its members each year, in part, because an overwhelming majority of members join to lose weight or fat and fail. When a member gets results, they become a satisfied customer, participate in more programs and maintain their memberships longer. 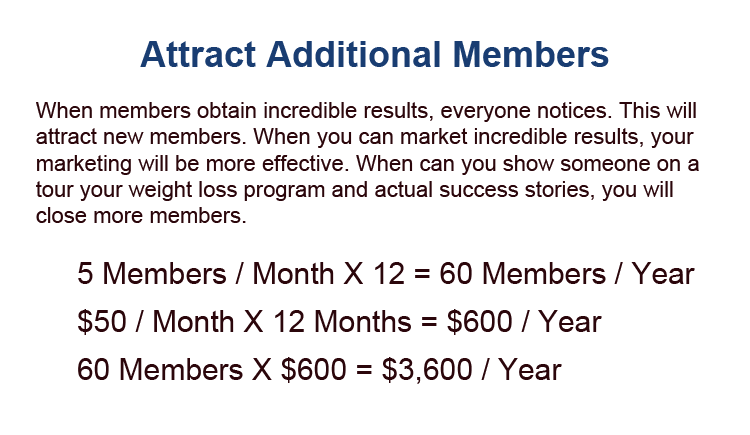 Members who are satisfied with their results will maintain their memberships longer than those who are not. If this program makes it possible to convert just 10% into the satisfied group, what will that amount to in annual membership revenue? We ask everyone on the program to register at least five friends or family members as "supporters" to follow their progress. We send their supporters a daily text message that allows them to log into the program to see the member’s graph and to leave messages as they progress. When a supporter sees how well the program works for someone they know personally, they often become interested in the program for themselves or someone they know. When they click a link for more information, they will find your health club promotion and can download any new member special offers you provide. Once you have a few weight loss success stories from your members, your sales people have a great tool to market to past members. We often have a tendency to skip steps when it comes to marketing. Trying to get a missed tour to come back, or a past member to rejoin your facility when they may have already joined another club or moved away is a difficult task to accomplish via email. Offering them an online tool that can benefit them immediately regardless of where they are, and start a dialogue around goals important to them, is typically your best next step to win their business and have them come back. We ask the people on our program to write success stories and for their permission to use their stories to promote the program. These are available to you, ready to print, from your Core-22 administrative terminal. Your community is overweight and looking for a weight loss solution. Most will try four different diets each year without success. If you advertise, email, or use direct mail campaigns to promote the results of your members, you will attract new members. Obesity is the largest driver of preventable diseases. If you can help an employee lose weight in a healthy way, they have fewer doctor's appointments, miss fewer days from work, are less likely to have a worker's compensation injury, and they recover faster from any illness or injury. Employers would love to have a program they can offer their members with a discount and that's exactly what you can do with Core-22. 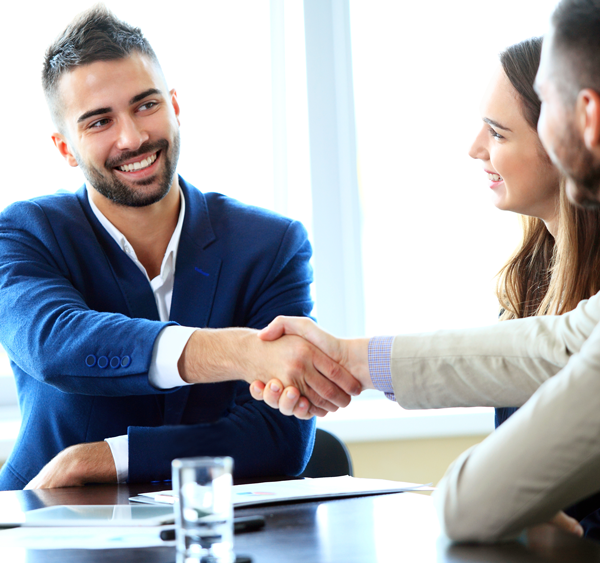 Simply have someone from your facility reach out to local business owners, show them the success stories of your members, and offer them your discount code. This is a great way to attract new members. When a trainer combines their expertise with the Core program, the results are astounding. Members, friends and family will want to know how a result like this was possible and want the same for themselves. 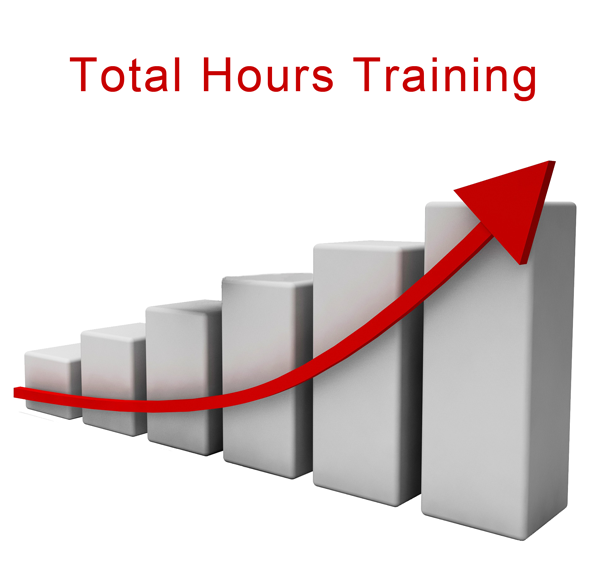 When a client makes steady progress, they continue training. And when the people they know see their progress, they are more likely to ask how it was possible. We witnessed master trainers triple their clientele in less than 90 days using Core-22. 70% of Your Community Wants to Lose Fat! Offer Core-22 to your staff and members for 30-days. 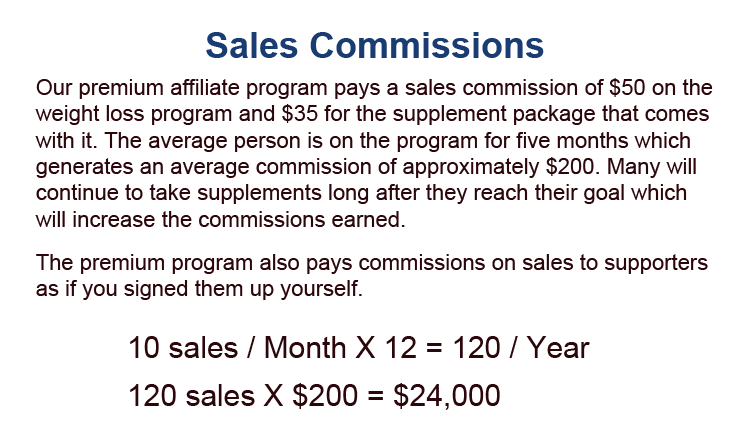 If they don't love the program and their results, simply return the promotional material in good condition for a full refund minus any commissions earned.